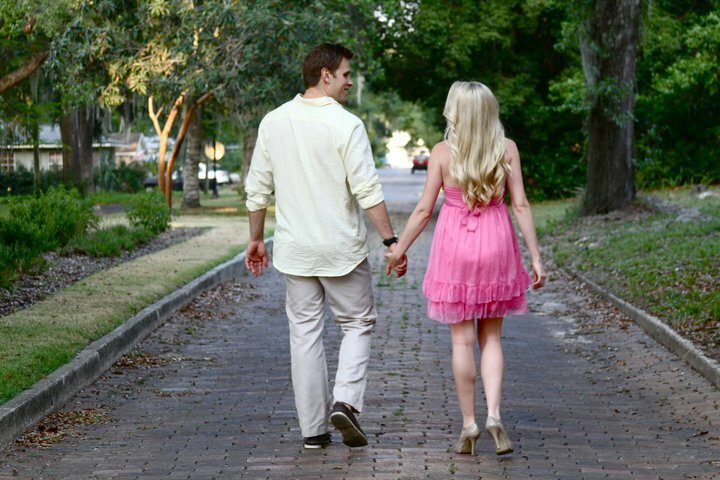 I almost forgot that I promised to show you the pictures from me and Corey’s engagement shoot! 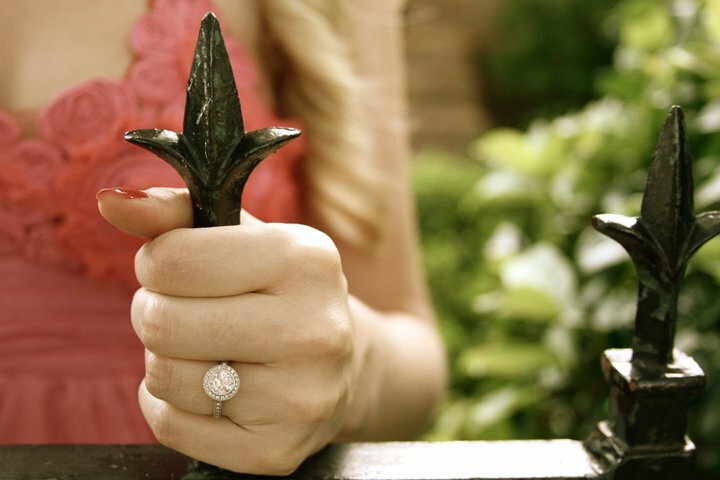 My “big sister” in my sorority, Jessi, has become a phenomenal photographer, and has quite the little business going. She truly has an eye for capturing moments, not to mention, she makes my food pictures look like Bella took them. She is so creative, and came up with some really unique and fun shots of Corey and I! These are my favorites. Enjoy! If you live in the Orlando or South Florida area and need an awesome photographer for ANYTHING- weddings, birthdays, anniversaries, engagement shoots, maternity shoots…Jessi Caparella with J Photography is the girl for the job! 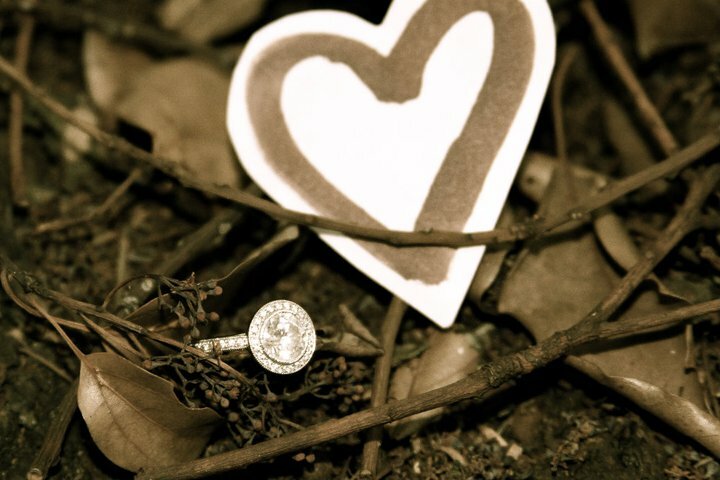 For more information or to see her work, please check out her Facebook page and “like” J Photography! Today is a special day for Corey and I! One year ago, Corey asked me to marry him. Be still my beating heart. Most normal people celebrate the one-year anniversary of their engagement by, ya know, actually getting married. Well, we’re not so normal. But, that’s OK! Our wedding day is still a year and 8 months away, but I know that time is going to fly by. I still can’t believe we’ve already been engaged for a year! 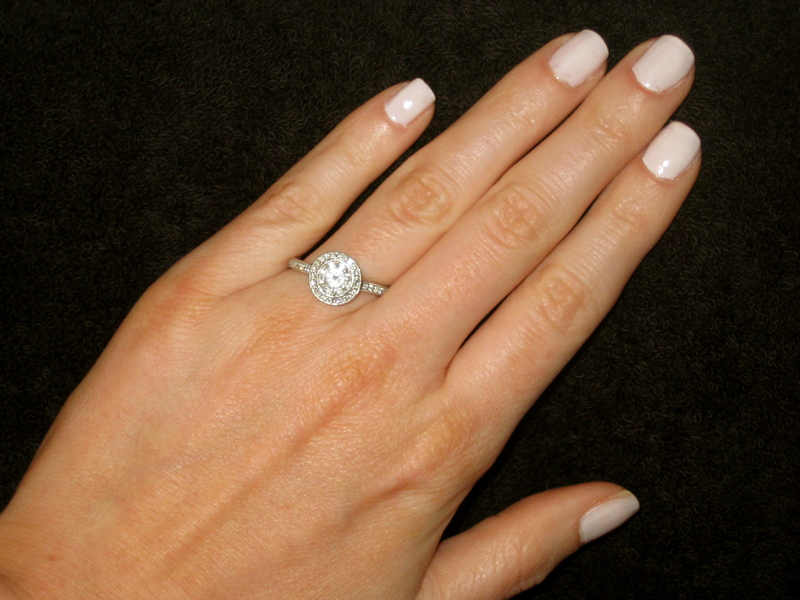 I thought it would be fun to tell you guys about the proposal, in honor of this memorable day. Unbeknownst to me, Corey had the ring hidden in our house for over 3 months. 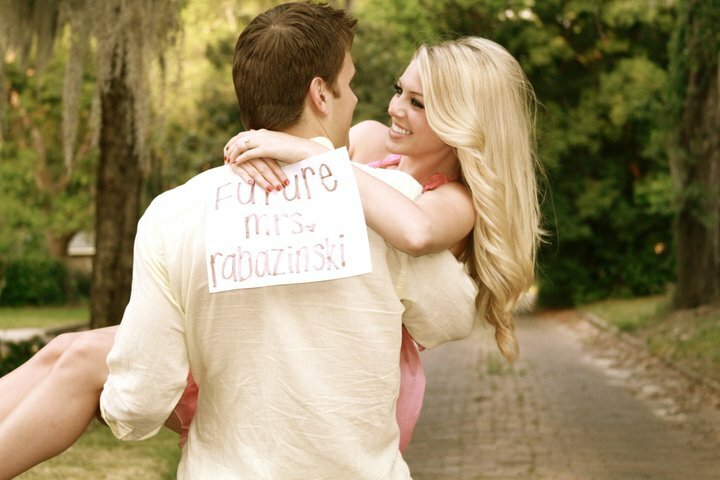 I had absolutely no idea that he was even considering proposing in the near future. It got to the point where he just couldn’t stand to have it in his possession anymore, because the proposal was spur of the moment! We had been out with our friends, and he asked if we could leave early, because he wasn’t feeling well. We lived with roommates at the time, and we never usually left without them, but on this night, he insisted. When we got home, I went into our room and turned on the T.V. I heard a lot of fumbling in the kitchen, and Corey had been in there for over 15 minutes. I kept asking him if he was OK, and he awkwardly yelled that he would be there in a second. Next thing I knew, Bella in all her cuteness came strutting in the room and hopped up on the bed. I started to pet her absent-mindedly, and then, I saw it. 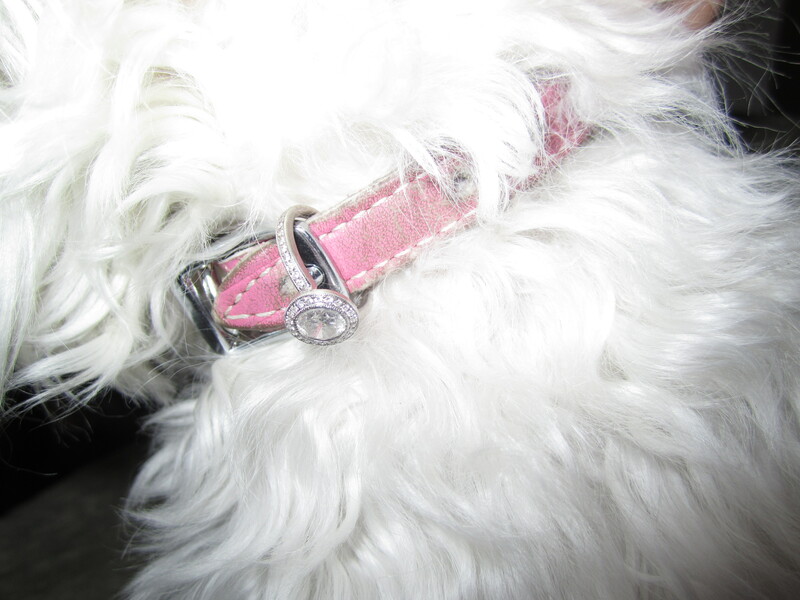 The exact ring I had been dreaming about, talking about, staring at in magazines…was hanging from my dog’s collar. At the same moment that I saw it, Corey walked into the room with a huge smile on his face, and I burst into tears. We’re not talking a few tears of joy, here. I literally lost it. 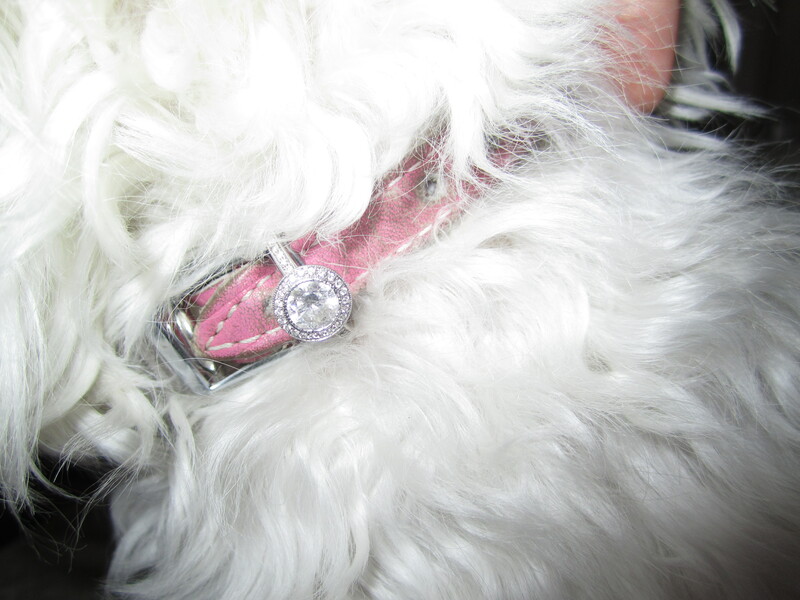 Corey took the ring off of Bella’s collar, put it on my finger and asked me if I would marry him. It was emotional for both of us, and also the happiest moment I’ve ever experienced. 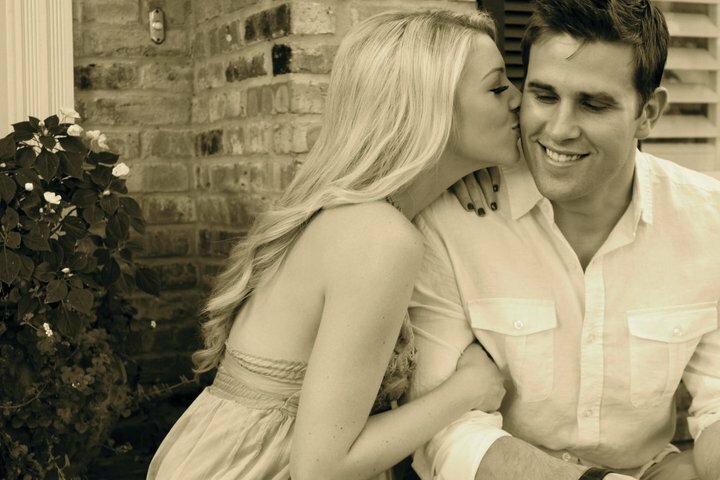 I had known since the first few weeks of dating Corey that he was who I wanted to marry, and I was overwhelmed with love for him at that moment, and still am, today! The next day, we went to the beach and ate lunch at one of our favorite places, called Breakers. The only bad thing was that I cried for so long the night before, my eyes were practically swollen shut the next day, hence, the sunglasses. 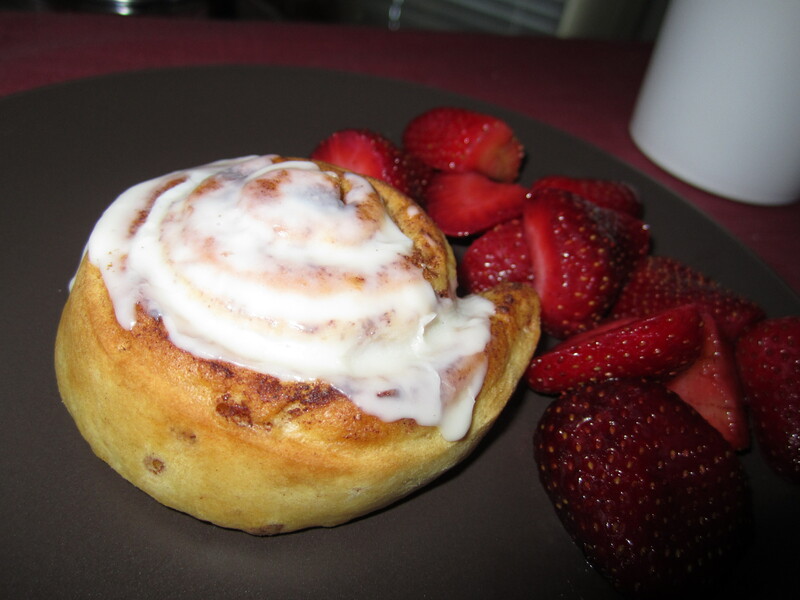 I love any excuse to make a special Sunday morning breakfast, and today certainly called for just that! Nothing too fancy. 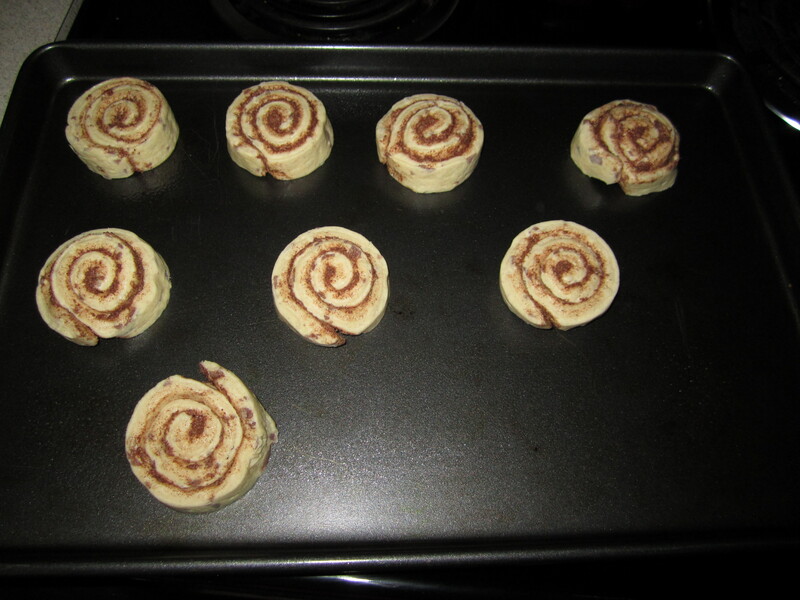 I popped open a tube of cinnamon rolls and baked them, and then topped them with icing. 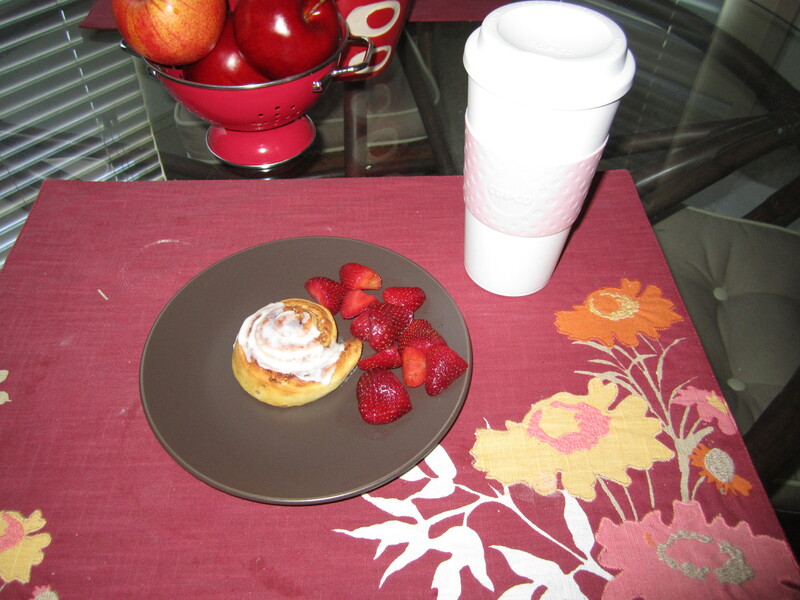 We enjoyed our rolls with fresh strawberries and a thermos full of coffee. 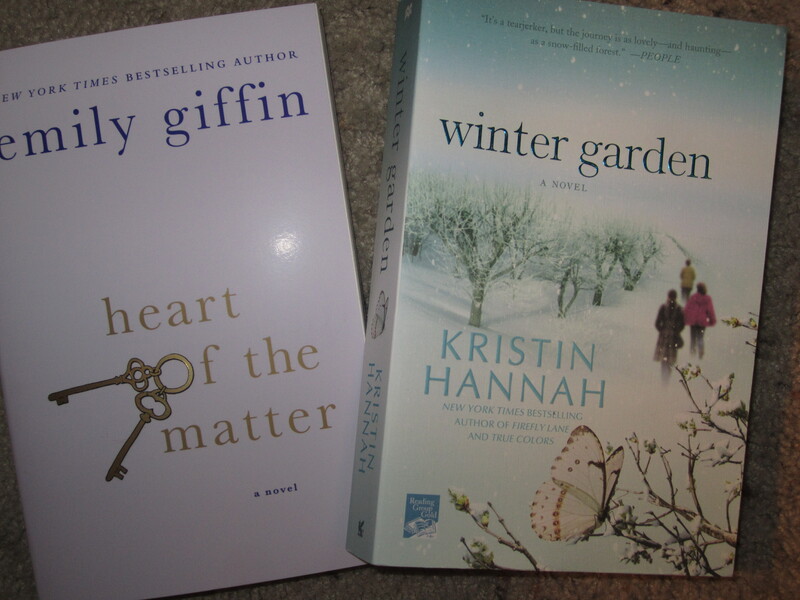 I got two new books by my favorite authors, Emily Giffin and Kristin Hannah. 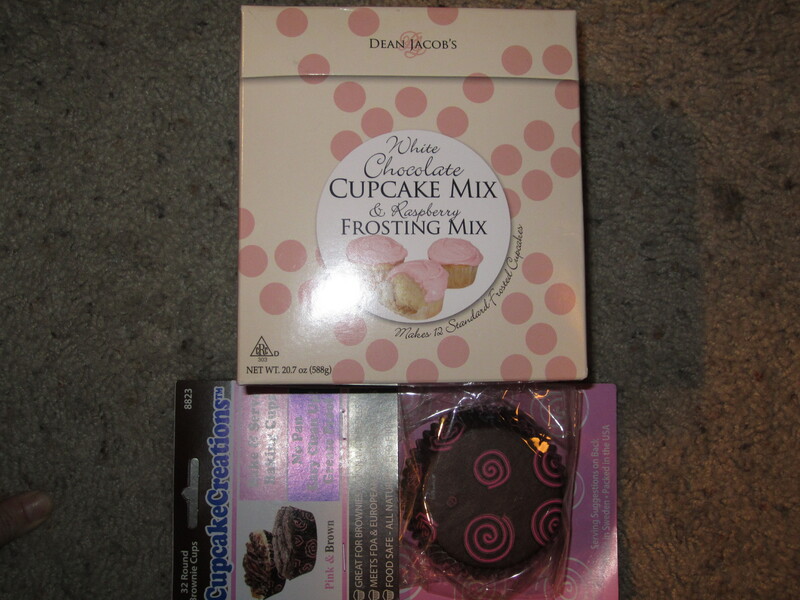 I also picked up this adorable box of cupcake mix and some fun cupcake liners from Marshall’s! Now, all I need is some free time to read and an excuse to bake, and I’ll be all set! 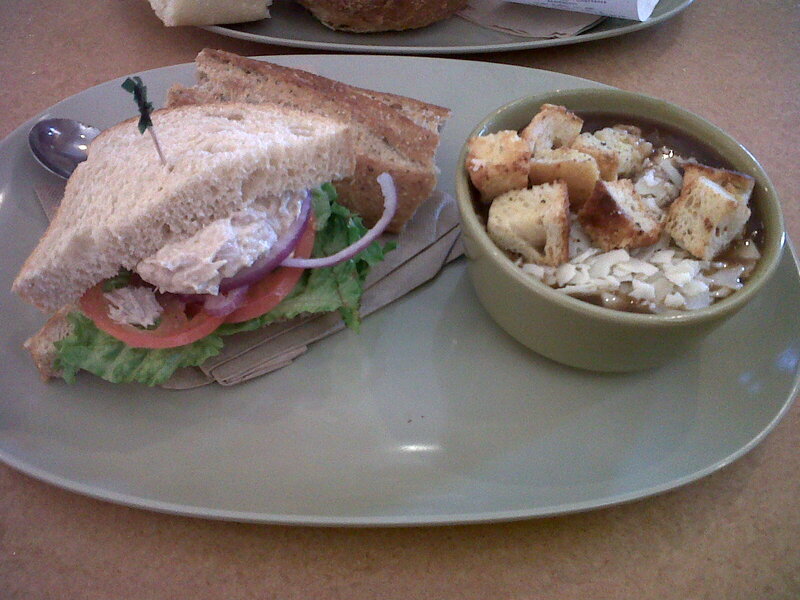 After shopping, we headed to Panera for lunch. I ordered a You-Pick-2, with french onion soup, half of a tuna sandwich on wheat bread, and a whole wheat baguette on the side. I took the croutons out of the soup and replaced them with pieces of the wheat baguette, instead. I am loving that Panera now displays the calorie content of each menu item. Very helpful! After letting our food digest for a while, we changed and went to the gym for an easy 35-minute workout. I spent my time on the elliptical watching Real Housewives of Miami re-runs, while waiting for Corey to finish his weights workout. When we got home, we decided to take Bella on a well-deserved 25-minute walk through our neighborhood. We were definitely ready for dinner when we got home, and I was happy to have lots of already-prepared items in the fridge. 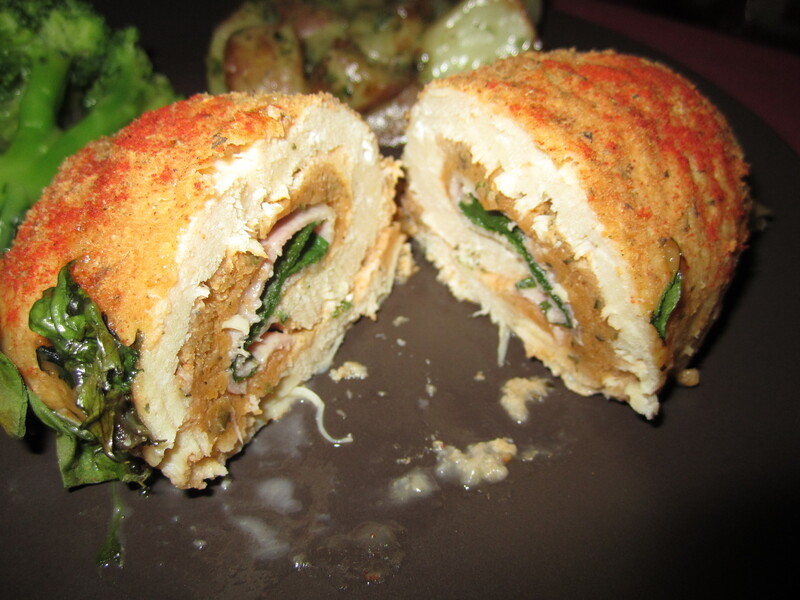 I baked 2 Publix Ready-to-Cook Chicken Cordon Bleu. 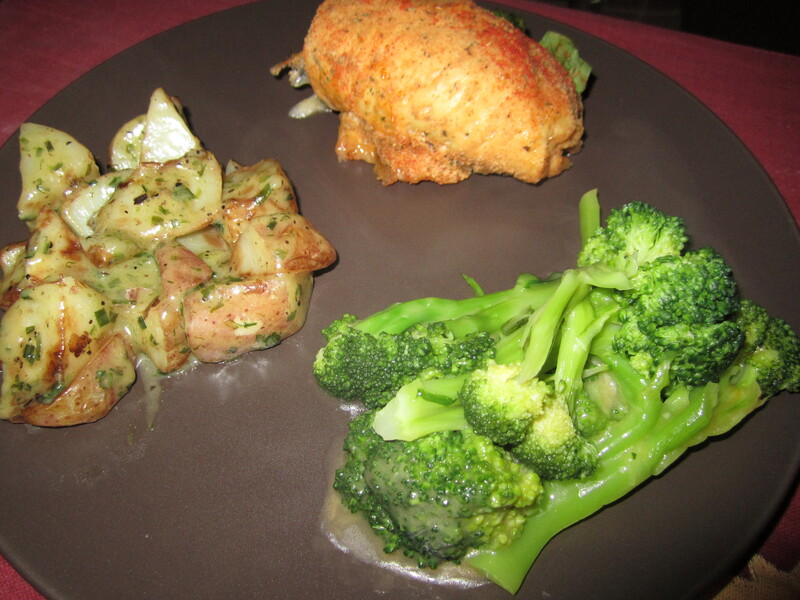 For our sides, I microwaved Lightly Sauced Roasted Potatoes in Garlic Butter Sauce and Green Giant Broccoli and Cheese. We’re off to watch some of our favorite shows (Real Housewives of OC tonight!!) and then get to bed early. Corey has his first day at his new job tomorrow, which means we are reverting back to our old morning routine- early workouts!